Which lion would bạn hate to face in a fight off both tlk's?? The Lion King hoặc The Lion King 2:Simba's Pride?? 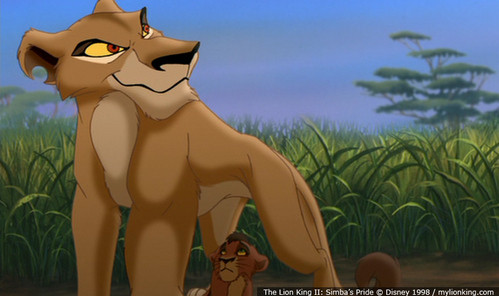 Is Zira Scar's mate? hoặc follower? -Simba forgets about what his father đã đưa ý kiến because he got distracted bởi the bướm flying around,anyway,he meets kovu then nala. They see kiara and ask if she wants to play too. They all become friends. I mean for a crime other than Scar's. Fanfiction is fun fun fun! But the bottom line is; in movie making if anything gets complicated, it would be somewhat hoặc extremely directly explained - NOT hidden behind hints. A plot hole is something that causes the plot hoặc a part of the plot to not add up hoặc to not make sense. These two phim chiếu rạp don't have such, as all bạn have to do is pay attention to what is đã đưa ý kiến and how it is said, and at some points to use common sense. 1.) The cub's thiết kế and the ceremony. Did the Disney studio steal Kimba The White Lion and rework it as their 'original story', The Lion King? They certainly give that impression with their corporate stance ('we never heard of Tezuka nor Kimba until after The Lion King was released'). And why would they have filed suit to try to prevent the hiển thị of Tezuka Productions' 1997 Jungle Emperor Leo movie at the 1998 Toronto FantAsia Film Festival? (Jungle Emperor was the original tiêu đề for Kimba The White Lion.) It seems quite simple; Kimba had been kept out of sight in North America for 20 years bởi that time. a comment was made to the poll: If Kiara not become queen, who would bạn prefer a for king? Who does the voice of Zira? is it just me, hoặc does anyone else think they could of done way thêm with Lion king 1 and a half?